You use a number of products to even your skin tone. Everyone wants a perfect even skin tone. But for how long will you depend on colour correctors, concealer and foundation. One day you will be tired of covering your skin with makeup. There can be several reasons behind uneven skin tone like aging, sun exposure, hormonal changes and hyperpigmentation. All you need is a good way to even your skin tone naturally. Do not worry anymore you can do it very easily with just a few ingredients that you can find very easily. Just practice the method regularly and get even skin naturally. 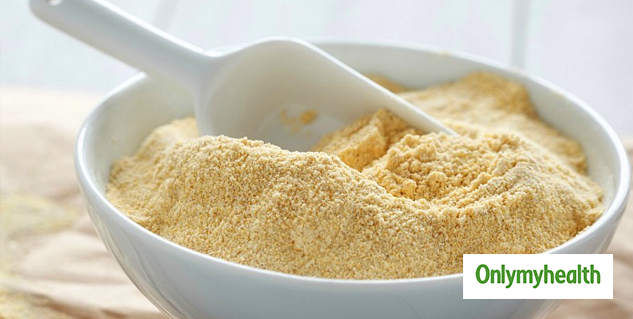 Gram flour can be used as a natural toner. It works as an excellent exfoliator as well. To even your skin tone take two tablespoons of gram flour and one tablespoon of milk in a bowl. Mix them well and later add one tablespoon of baking soda in it. Now apply the mixture on your face and let it dry well. Then wash your face properly with fresh water. You can try this remedy once or twice a week. Both tomato juice and lemon juice can help you fight uneven skin tone. Tomato juice is enriched with vitamin A which reduces blemish and dark spots. Lemon juice also helps in lightening the darker areas of your skin. You can also add honey to this mixture which will moisturise your skin well. Take one tablespoon of tomato juice and honey each and mix. Add 2-3 drops of lemon juice to the mixture. After mixing all the three ingredients well, apply this mixture on your skin. Let it dry for fifteen minutes. Now wash it with lukewarm water. Try this remedy twice a week until you get your desired result. Multani mitti has been used for skin related problems since ages. This face pack includes four ingredients- multani mitti, tulsi, neem and rose water. All of these ingredients are extremely good for your skin. First, you need to dry some tulsi and neem leaves and powder them. Mix one tablespoon of multani mitti, tulsi powder and neem powder in a bowl. Now add rose water to make a thick paste. Once your paste is ready, apply this paste evenly on your face just like a face pack. Allow the paste to dry and later wash it with cold water. After washing your face apply some amount of moistuiser to reduce dryness. Potato juice is another well known remedy for correcting skin tone. 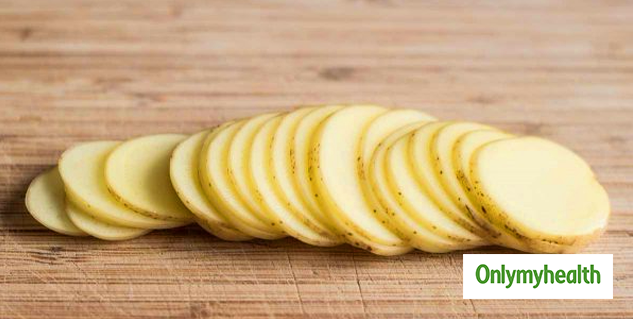 Cut a ripe potato in half and rub it on the required area. Allow the potato juice to remain there for about ten to fifteen minutes before you wash it off with warm water. Repeat this remedy every day for at least one week. You can also grate a potato and extract its juice, then apply the juice with the help of cotton on your skin and repeat the same procedure.